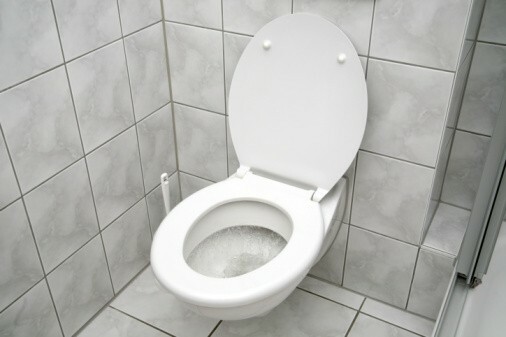 A woman in western Kansas sat on her boyfriend’s toilet for two years, according to US police. Ness County Sheriff Bryan Whipple said a man called his office last month to report that something was wrong with his girlfriend. Whipple said it appeared the 35-year-old Ness City woman’s skin had grown around the seat. She initially refused emergency medical services but was finally convinced by responders and her boyfriend that she needed to be checked out at a hospital. The boyfriend called police on Feb. 27 to report that “there was something wrong with his girlfriend,” Whipple said, adding that he never explained why it took him two years to call. He told investigators he brought his girlfriend food and water, and asked her every day to come out of the bathroom. The police are investigating whether she was mistreated. It has been brought to our attention that this is actually an old news story. It happened in 2008! The man Kory McFarren received six months of probation after pleading no contest to misdemeanor mistreatment of a dependent adult. Medical personnel estimated that his girlfriend Pam Babcock had been on the toilet for at least a month and said the seat had adhered to sores on her body. She was released from a Wichita hospital after several months of treatment. And then as if the story couldn’t get any weirder the man won $20,000 in the state Lottery, twice in the same year. Can you transplant a soul?